If we’re being honest, there’s something truly special about spending the holidays, or any part of the winter season, for that matter, in New York City. Just one look at some of the most iconic seasonal movies (Miracle on 34th Street, we see you), and you simply can’t deny feelings New York at winter can bring. From the elaborate holiday window displays to snowfall in the sparkling city, winter in the Big Apple is a sight to see. That said, even the most hard-core New Yorkers can find the cold weather to be on the brutal side if not well-prepared. So, if you’re planning on heading to New York this winter, you’ll need to know exactly what to pack. For whenever you start planning for your trip, we’ve created the ultimate list of must-haves that’ll ensure your survival in the big city. From essential pieces such as heavy coats and boots to practical accessories, you’ll have the best wardrobe to keep you both warm and stylish throughout your stay. Shop them all below! 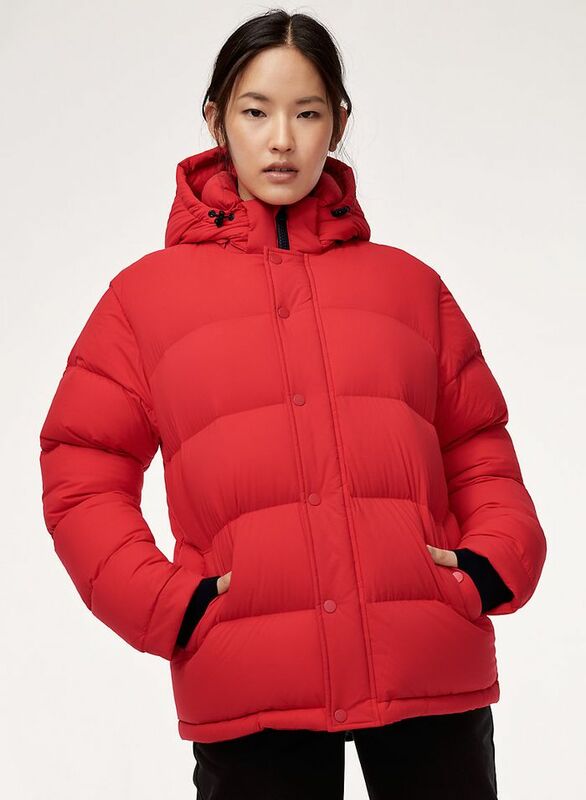 Stand out in this puffer. Leave it to The Row to make the ultimate winter coat. Wear this under your other pieces for extra warmth. For when you need that extra layer under your pants. This sweater is the definition of pretty in pink. A dove gray beanie will go with anything. You'll get so many compliments on this fluffy scarf. You'll get so much wear out of this. You'll never take these off. Say goodbye to cold hands. You'll never get tired of these. These will get you through anything. Wear these with anything you own. Now, see what this NYC fashion editor is adding to her closet.